We start trekking from beautiful city Pokhara to experience its natural beauty and the panoramic views of over 8000 meter high Dhaulagiri, Manaslu and Annapurna. 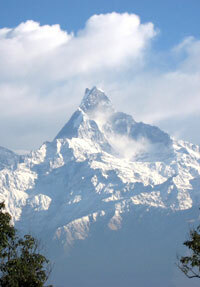 Always twinkling view of Machhapuchhre (fishtail) is an another attraction. The trek Panchase hill is our new program for those who are looking for something different, less touristy and easy for walking. 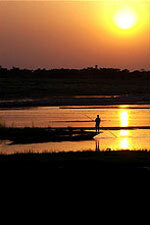 It is an ideal trip for family and those who have a short time and like to combine cultural sites of that region. This is an easy trek and suitable for all kind of people. The trek is easy for walking and not required altitude consciousness. Best trekking for family. Please note that the following program is prepared in the fact basis however things can be change in some circumstances but adjustments will have to be made during the trekking. We request you to be flexible with the situation to enjoy yourself. Day 01 After breakfast start the trek from Lakeside, Pokhara. The route goes through Fewa Lake side ways to the west of Pokhara and after the end of the Lake the route will be diverted via Passing the cultural villages of around the valley. This day you will have all the way flat walking about 5 hrs. Finally we will be in the camp site at the village called Ghantichhina, on the way we will make an hour lunch break near by river bank at Pame village. 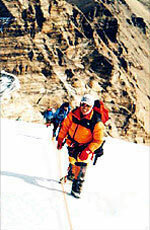 This day the route goes gentle climb up to the camp site about 5-6 hrs. Slow walk, on the way of the Bhanjyang you will have splendid views of the massif Annapurna range including Mt. Manaslu and more. 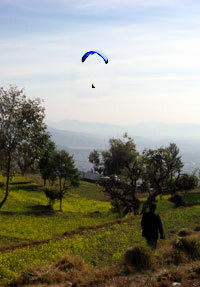 The Bhanjyang is also of the best view point of surroundings. Day 03 Explore around the region-morning visit Panchase view point, back to camp site have break fast, rest couple of hour and after lunch visit Holy Panchase lake. Easy trekking 2-3 hours to Naudnada phedi and drive to pokhara by private transport takes 30 min.